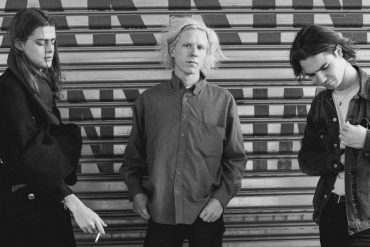 Having recently dropped their surprise Prague ’99 EP via Transgressive Recordings, Hampshire trio Blaenavon today reveal the video for its title track. Watch below. The video was directed by frequent Foals and Toothless collaborator, Kit Monteith and places the band centre stage intertwined with vocalist and guitarist Ben Gregory’s movements and synchronised interactions with his female doppelgänger. Led by set-closer and fan favourite Prague ‘99, The EP also features a trio of brand new recordings (The Monte Carlo Kid, A Death in the Family and 12) all written at different points in the band’s exciting career. The extended player is a celebration of the band’s breakthrough 2017, neatly tying up the loose ends of a carefully built past and looking toward a exciting, vital and bright future. Prague ’99 gives something back to those fans who have accompanied Blaenavon on their journey so far. 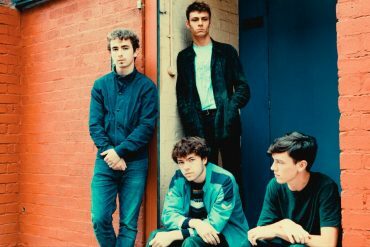 The band will be on tour through the UK this fall. Tickets are on sale as of now.